Spotify has an alternative for you to drive relaxed. The National Highway Traffic Safety Administration (NHTSA) revealed that 94% of all traffic accidents are caused by driver error. The 33% could be related to road rage that could lead also to possible deaths. There is no doubt that being in a bad mood can cause an accident. Prevent accidents changing driver moods with different music. 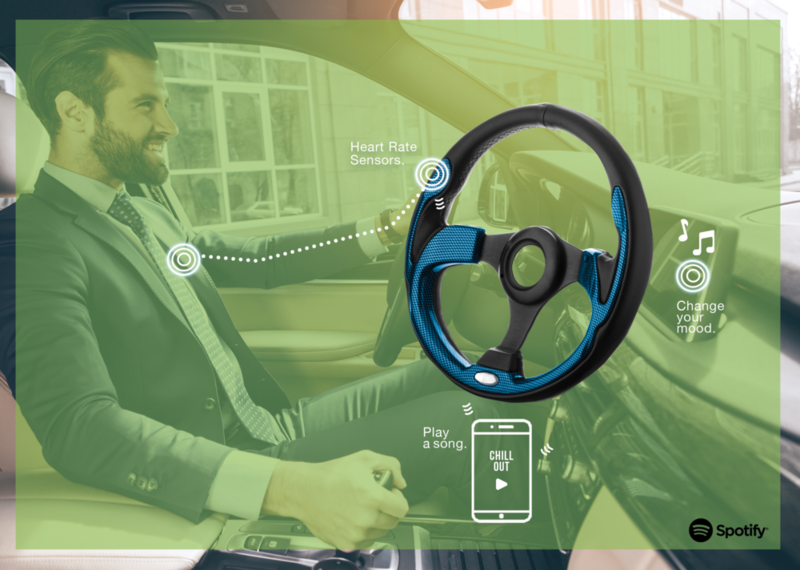 A special steering wheel cover with sensors that can measure the driver’s heart rate. The cover is synchronized via bluetooth with Spotify that will play the perfect music when the heart rate accelerates. Listen to the music and enjoy your ride!